On top of all the dates and deadlines, you have to keep up with changes in your company and the law. the abolition of employers national insurance contributions for employees aged under-21 from April 2015. Although the legal landscape changes year on year, some questions crop up time and time again. Here are some of the issues clients frequently as us about. Since the introduction of RTI it’s important to make sure you send your Full Payment Submission (FPS) on time to avoid receiving a fine. It’s not rocket science but putting these deadlines in your diary will help. We can advise on the dates that affect your business. Remedying any mistakes on your FPS or EPS is relatively straightforward although the exact procedure will depend on the type of error. have ‘H – Correction to earlier submission’ in the ‘Late reporting reason’ box. Be aware that multiple submissions for the same period could cause some confusion with HMRC so try to keep this to a minimum and only if absolutely necessary. Dealing with mistakes on your final FPS of the year is a different process so speak to us if this affects you. We can advise you how you can amend errors in your payroll. 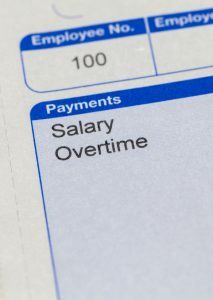 You can change your pay or how often you pay employees to suit your business and workforce and these kinds of alterations are usually easy to implement. If the new payday is a different tax month or week to the old one, you can just make your FPS as usual. However, if the new payday falls within the same tax month or week as the previous one, you will need to treat the new payday as an additional payday for that period. Calculating national insurance after changing paydays is a bit more complex and involves realigning when you submit your FPS with the tax month or week. Payroll software can usually handle any changes to how often you pay your staff but talk to us if you have any concerns. Deciding which payroll software to use can be baffling, especially for people without accounting experience. However, these systems are designed to be used by businesses and individuals, not just accountants, and you might be surprised by how user-friendly they are. Despite this, it is not a decision to rush into. Taking the time to get it right can save you time, money and a lot of frustration in the long run. At the very least your software will need to be able to report PAYE information online in real time. When considering a package, look at the details, not just the price. Additional features such as the ability to produce HMRC approved statutory forms, audit trails and online help centres might be of real benefit to your business. As your business develops, you will need software that can grow with you. You should also keep an eye on how any changes to the law will affect your software needs. One area that all businesses will need to be aware of is auto-enrolment. Making sure your software is compatible with running auto-enrolment should be high on the agenda, even if your staging date is some way off. Can you use free software? Businesses with fewer than 10 employees may be able to use free payroll software. HMRC has tested and approved various software packages, including its own Basic PAYE Tools. Find out exactly what you will get for your money. Does it cost more to add additional staff or users? What’s the minimum term? What’s your position if you decide to cancel? Could online payroll software work for you? updates are usually free so upgrades are less expensive than buying hard copies of software. Is it compatible with your other systems? Some of the more sophisticated systems can automate routine bookkeeping tasks such as invoicing or banking and credit control. However, you might already have these procedures in place and will be interested in whether new software will work with existing systems. Free trials can be a good way to get a feel for different types of software and make it easier to compare providers. What do your peers use? While we wouldn’t recommend blindly following the crowd, knowing what works for similar businesses can help focus your search. Do you need training and support? Getting to grips with a new system takes time even for the most experienced payroll expert. Consider how you will manage this and what help is available from your software provider. Can you share information securely with a third party such as your accountant? Being able to access up-to-date versions your records really helps us do our job and gives you the flexibility to ask for help should you need it. Contact us to discuss payroll software. Payroll can easily be separated from other accounting functions. Even if you chose to outsource your payroll, overall responsibility for getting it right lies with the employer. Talk us about managing your payroll.